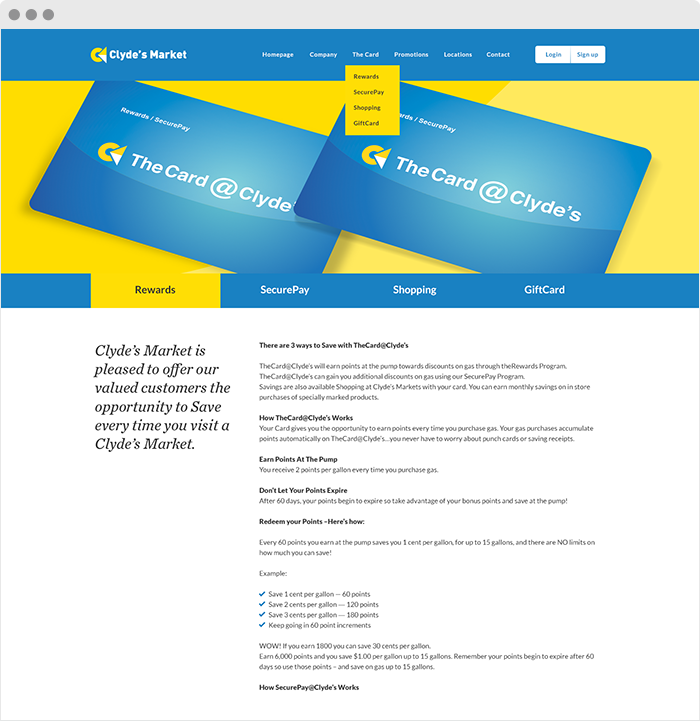 Clyde’s Market loyalty system is a powerful and comprehensive solution which features extraordinary depth of integration with POS systems. 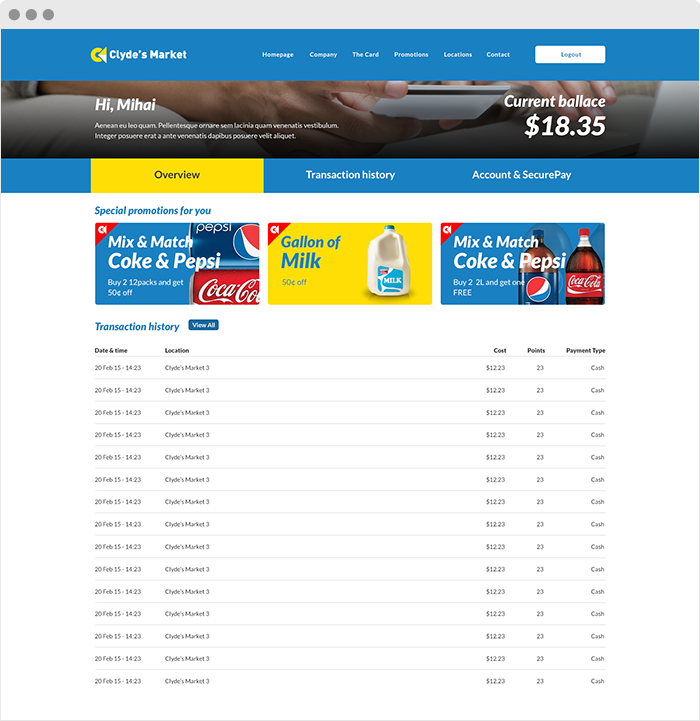 Our POS-neutral solution powers our own loyalty suite, and also powers multiple third party solutions in a white label OEM model. 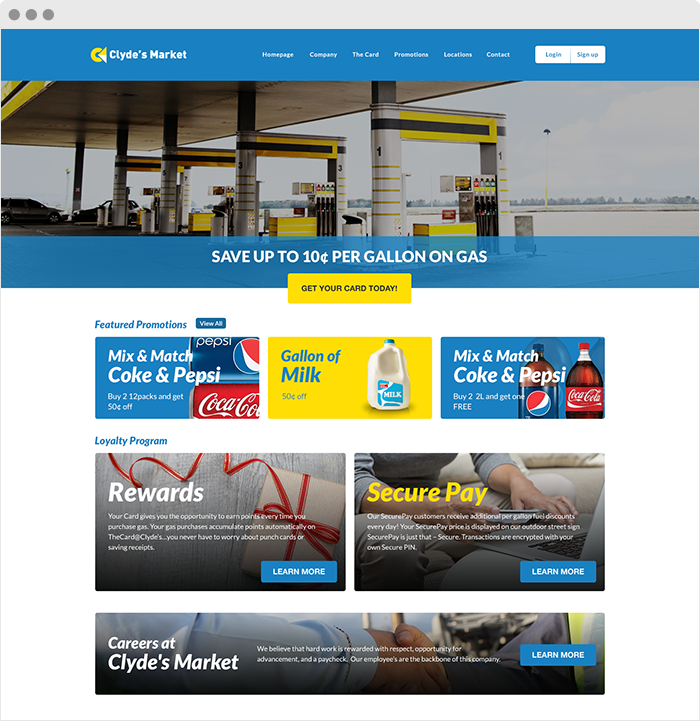 Clyde’s Market loyalty has the flexibility to allow multiple reward types while allowing points to be earned and redeemed in a single store or all stores in a chain. Additionally, multiple brands can join together in a collaborative marketing campaign where points can be earned and rewards redeemed in multiple businesses.